One of the components that we usually use less in our laptops today is the touchpad, or touch panel, it is common to find a mouse with USB connection in the carrying cases of these devices. 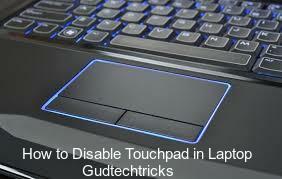 For this reason in this article we will show you how to disable touchpad in laptop. You can use any of the working methods and disable touchpad windows 10 and windows 7. The process will be almost same for every laptop. Surely on more than one occasion you have been using the USB mouse on your laptop, and unintentionally touched the touchpad which caused an unexpected movement of the cursor . It is something that can end up being annoying if it happens often, especially if we use our laptop to play video games and at a critical moment we accidentally activate the touch panel. In that cases it is surely better to deactivate the touch pad which can be done by knowing how to turn off touchpad or how to disable the touchpad. With this simple trick you can deactivate the touchpad of your laptop automatically every time you connect. 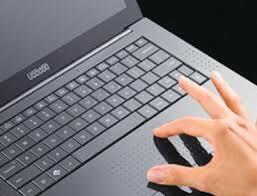 Many of today’s laptops incorporate a button to disable the touch panel of the laptop when we want. 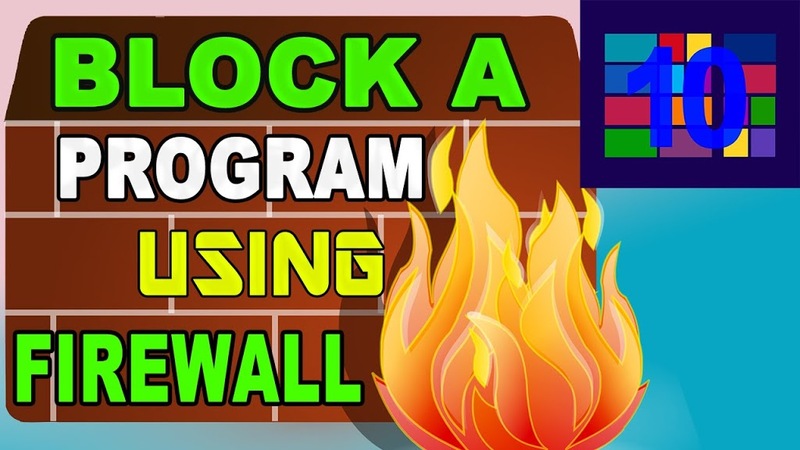 It’s as simple as pressing it to stop working or to get it working again. However, there are times when it is confusing and we do not know when it is deactivated or when it is activated. Mostly in order to solve the problem of how to deactivate or disable the touchpad we will need to use a third party tool or disable the touchpad under Device Manager. So lets see what are the solutions we have to in order to disable touchpad windows 10. Now in order to disable the touchpad we use the native device manager. Here you need to open the Device Manager. n case if you dont know how to open the device manager then you can do that by pressing the Windows+R keys which opens the Run Command. 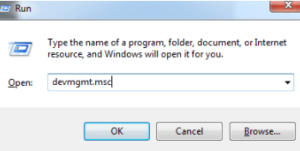 Once it is done please type “Devmgmt.msc” in the popup box. You can see below. If the Device Manager Pops on the screen and expands the test again and again then you can see the HIP Compliant entries. If there is any HID-compliant mouse entry then go and click on the disable option. When you see “Disabling this device will cause it to stop functioning. Do you really want to disable it?” then click on Yes Button. This is simply a warning message that you can see. In most of the cases this process will work but for some times if your touchpad is still working then you can disable all the other HID-Complaint Mouse one after the other. There are many tools that can simply help you to disable the touchpad but one of the best one is the TouchPad Blocker. This Touchpad Blocker will lock the touchpad input with in a short period of time as soon as the key is pressed. This Touchpad blocker will enable or disable the touchpad with a keyboard shortcut. Now instal the touchpad blocker in your laptop. Now go to the taskbar and check for the touchpad. Click on the touchpad and you can see the options. Thats it with this you will know how to disable touchpad. Click on the hardware and sound options. You can see the image below. Now check for the “Devices and Printers,” and then click on Mouse. 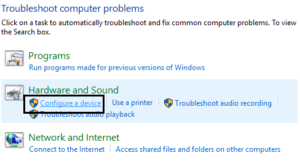 Go to Device Settings and clear the disable internal pointing device. Based on the manufacturers the option will disable and you need to check for options. For some devices like dell laptops the setting to disable the touchpad will be in the dell support software. Now open the application and select the mouse you are using and click on the stop device. Open Configuration . We can do it by typing it in Cortana or by using the Windows + ‘i’ key combination. Once the Configuration program has been opened, we enter the Devices section. Then we have to look in the left side menu for the item in the list that puts Touch Panel and enter it. Uncheck the checkbox that says Leave the touchpad enabled when a mouse is connected. We enter the Control Panel. Once inside click on the Accessibility link. Then we enter where it says Change mouse operation. Finally, we enable the checkbox that says Disable the internal pointing device when connecting an external pointing device. With these methods you can know how to disable touchpad in laptop and you can use any one of the methods and try to get how to disable the touchpad without any issues. If you have any queries regarding this article simply share with us using the comment box below. Visit Gudtechtricks for more information.